We offer an effective physical workout that is used in conjunction with a proven Taekwondo program. Your children will learn punching, kicking, break falls, nunchuck training, gymnastics, take-downs, bag training, and of course, a self defense regime which will culminate in a more improved version of themselves! Our special one-of-a-kind mentoring program allows students to engage others in a positive way through social leadership in school or in their community. 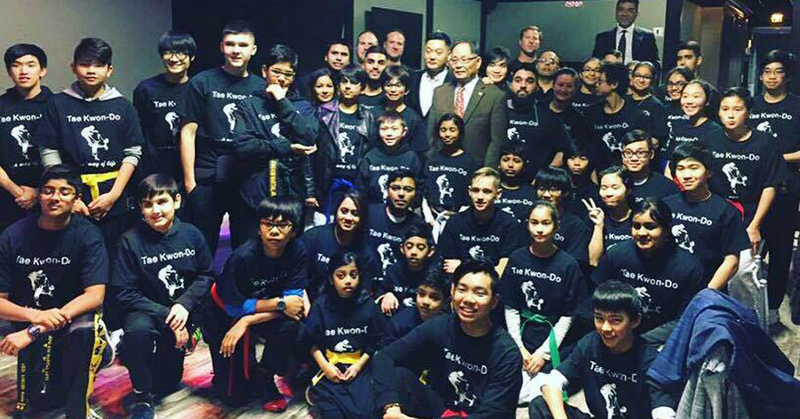 Jong Kim Martial Arts provides you a program to garner strength, confidence, focus, respect, indomitable spirit, and most importantly, discipline. All lessons will be taught by Grandmaster Eddie Kim in a comfortable and exciting environment. He is personable and dedicates his time to ensure each student reaches their goals in order to lead them to their success. We have the most friendly group of people who will allow you to transition comfortably and quickly into an exciting program leading to a better version of yourself!